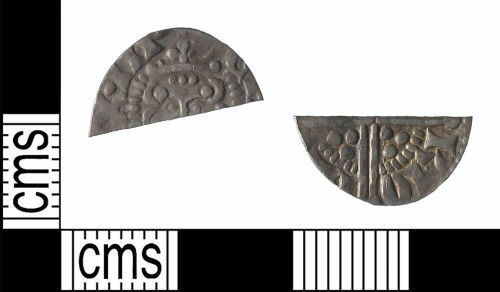 A silver medieval cut long-cross halfpenny of Henry III. Moneyer Ricard of Lincoln mint (AD 1248-1250; Class 3; North 986-8). A silver medieval cut long-cross farthing of Henry III. Uncertain moneyer of London or Lincoln mint (AD 1248-1250; Class 3; North 986-8).